The body heals faster than the brain. Sure, since Ironman Arizona (two weeks ago), my toe has been infected. And I’ve endured my first cold in just under a decade. But the trauma undergone by the brain when you tax it with a true 100% effort . . . that is a well one can go to only so often. 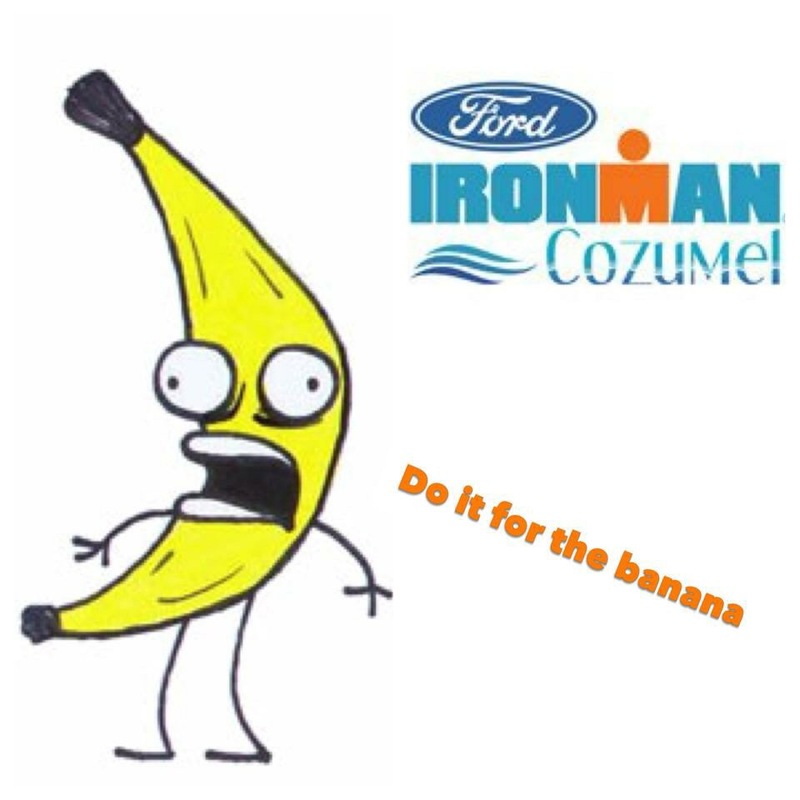 For Ironman Cozumel, I wasn’t nearly as concerned about my body as I was my brain. First of all, I had a slight problem with motivation. 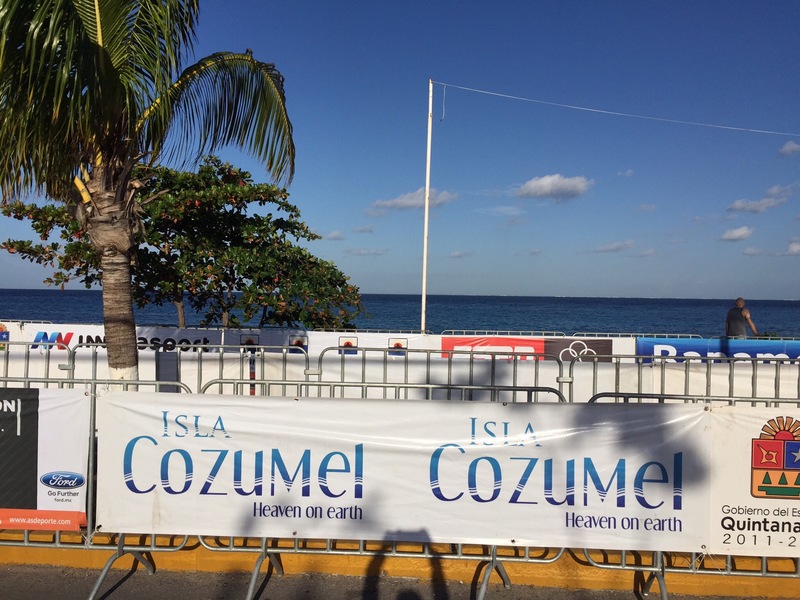 Since I earned a Kona-Qualifying slot at IMAZ, I wasn’t racing to KQ in Cozumel. Sub-9 could be a motivator, but I didn’t have the mindset to bury myself in a manner conducive to what I believe necessary to go sub-9. 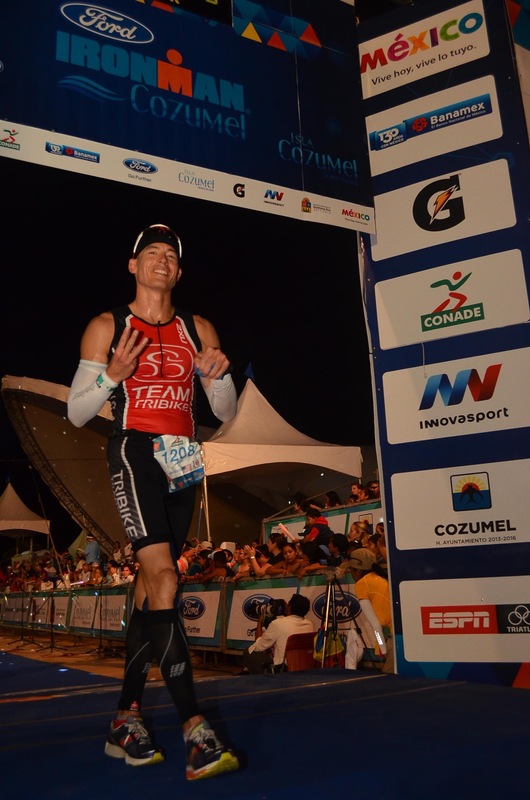 There were a few other motivators: All World Athlete ranking, another Ironman finish, the last race of the season. What I learned, though, is something I already knew: if you don’t have a clearly-identified goal going into the race, don’t be surprised when you fail to attain it. I was taking antibiotics for my infected toe. I was coughing a lot. 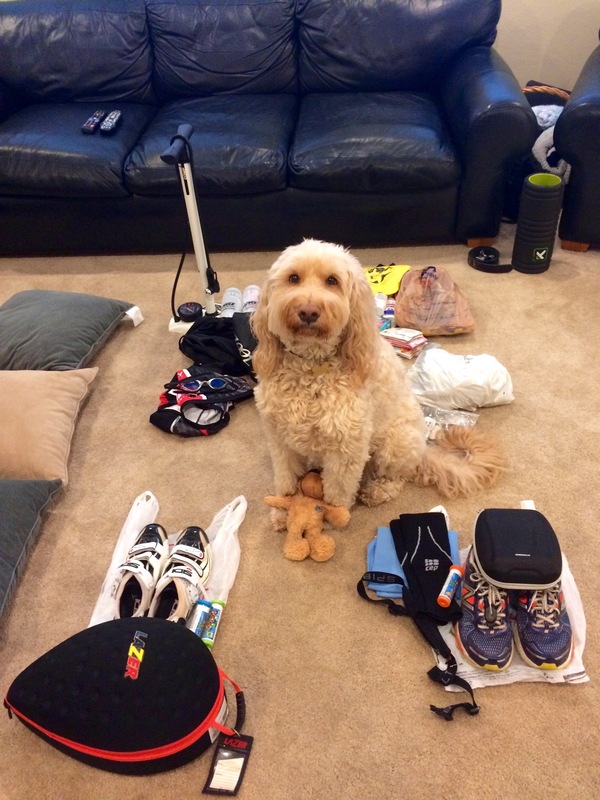 Michelle watched me go to a very dark place at IMAZ. 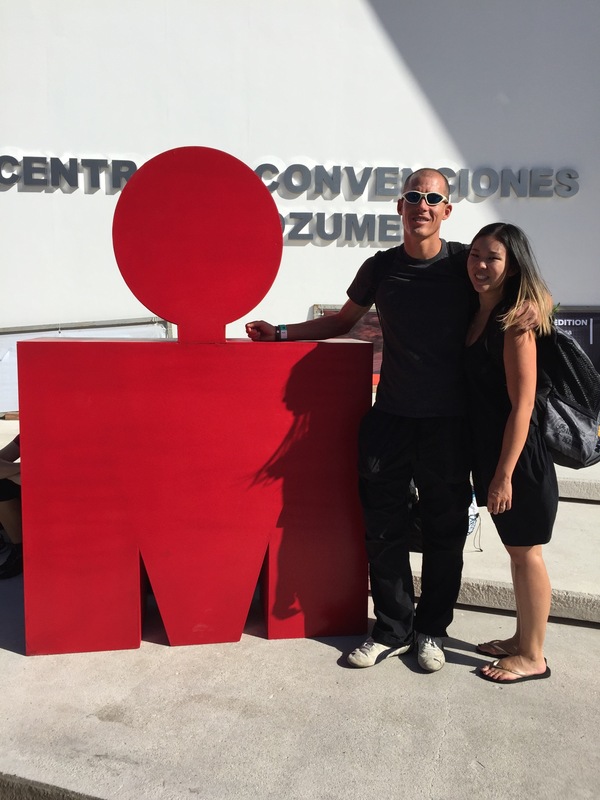 While she rarely advises me pre-race, she emphasized that I’ve nothing to prove at IM Coz. She further emphasized that I listen to my body, and that I just go out there and finish. I, of course, received her advice with open ears, as she only wants the best for me. So I packed my stuff. (The dog had to stay home). And on Thanksgiving we took a redeye to Atlanta. 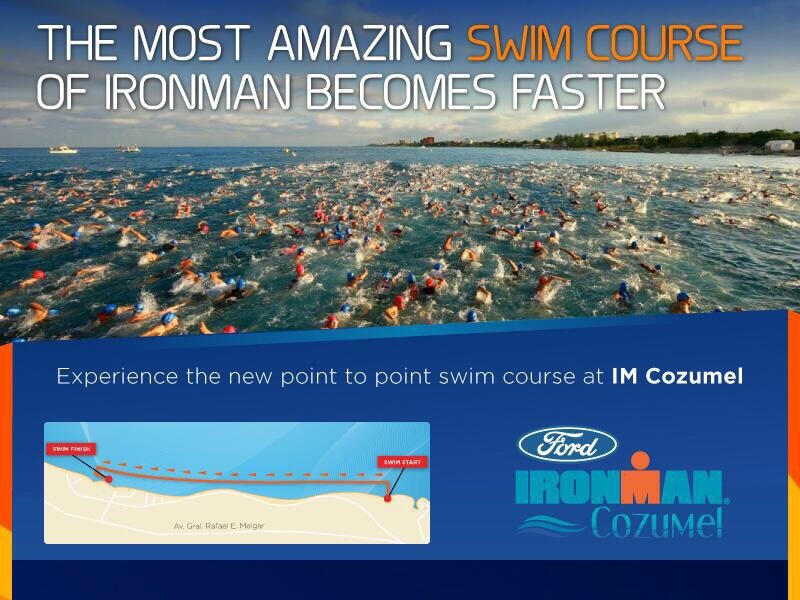 And then we caught a connector to Cozumel. 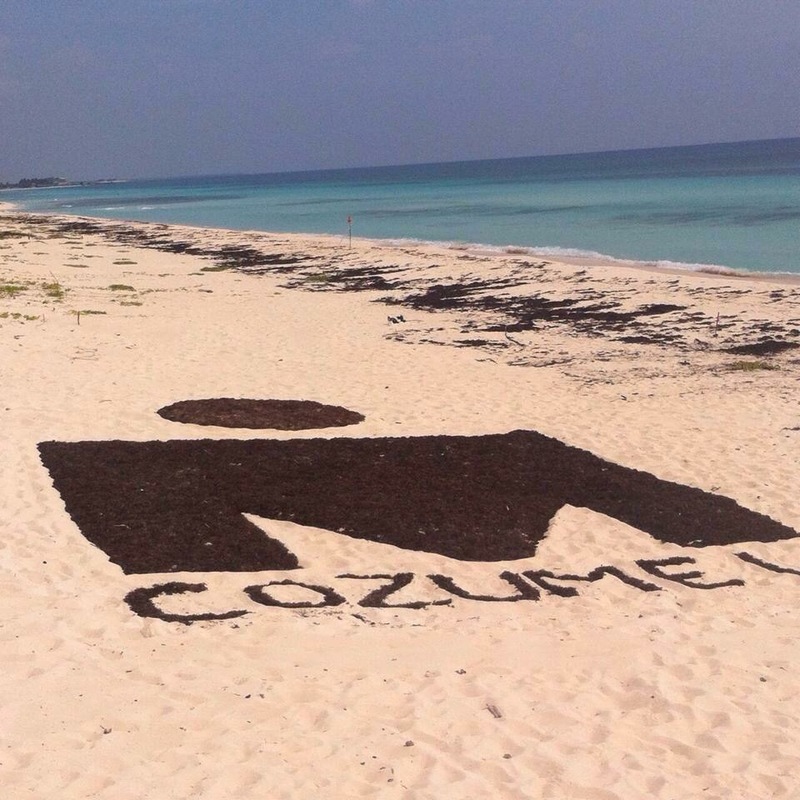 When we arrived, there was one problem: we were in Cozumel, but my bike wasn’t. Normally, TriBike Transport takes care of transporting my bike to and fro. 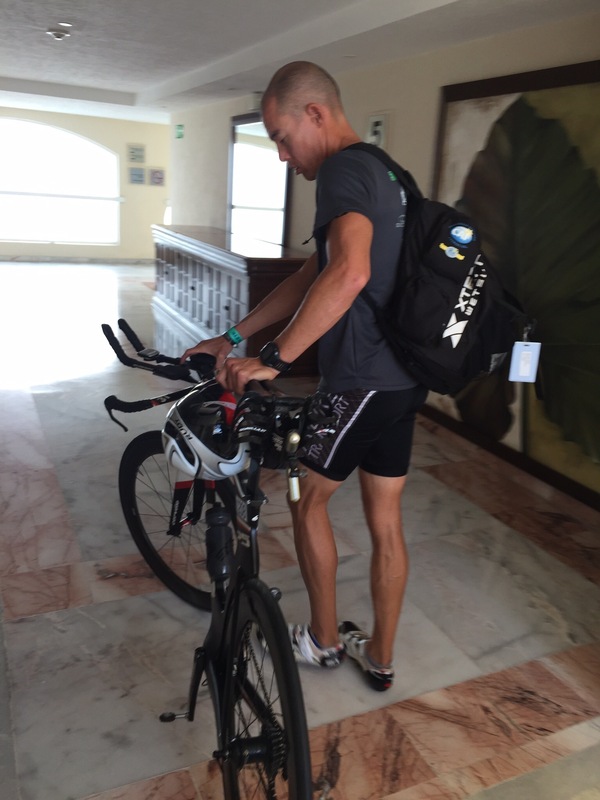 But for this race, due to my own time conflicts, I had to transport my bike via Delta Airlines. Delta lost my bike. Or rather, they couldn’t fit it (along with 6 other bikes) onto the flight to Cozumel. This was a minor cause for concern. I knew I’d still race, even without my bike. I told Michelle I’d rent and race on a beach cruiser just as a matter of principle. 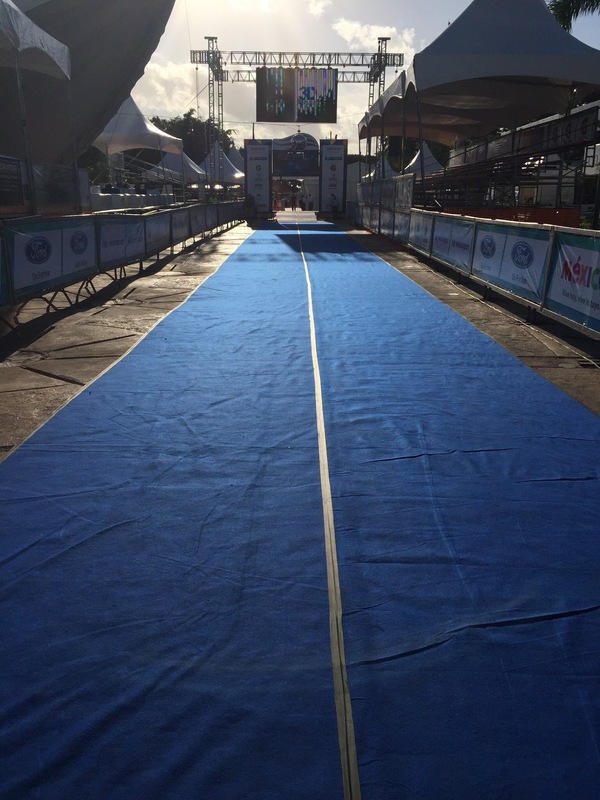 I’ve done the training, and I’ve arrived for a race. 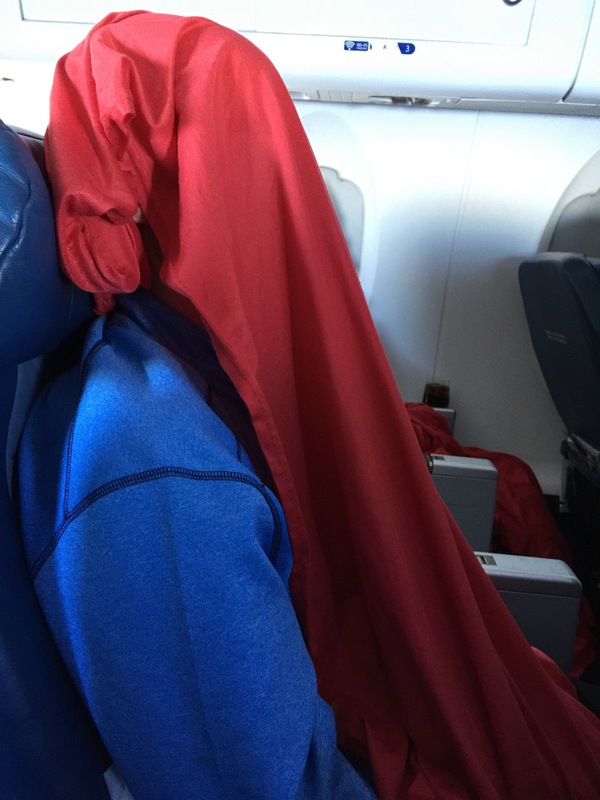 I’m not going to let Delta Airlines keep me from racing. 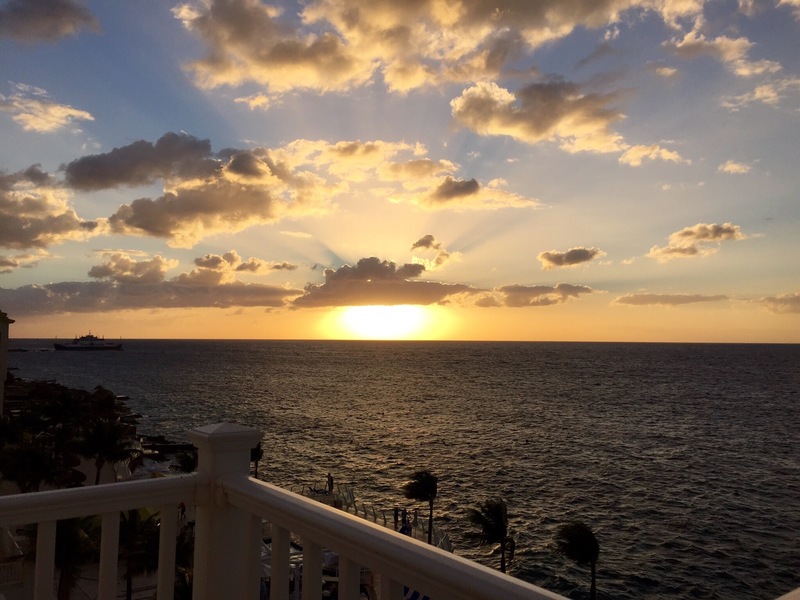 We checked into the Cozumel Palace (We stayed there last year as well. It’s brilliant). 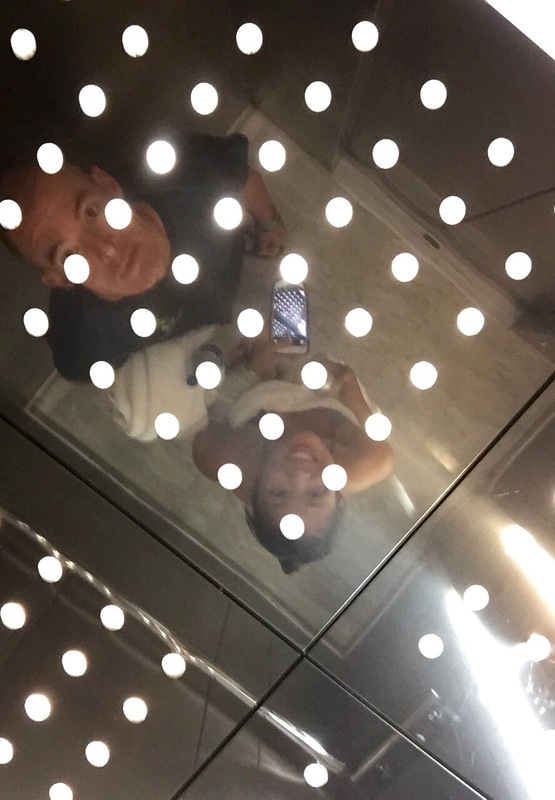 And of course, as we took the elevator up to our room, Michelle managed to take a selfie. (She is my favorite kind of clown). Alas, on Friday night, while Michelle and I were sleeping, my bike was delivered. The next morning, I assembled it. 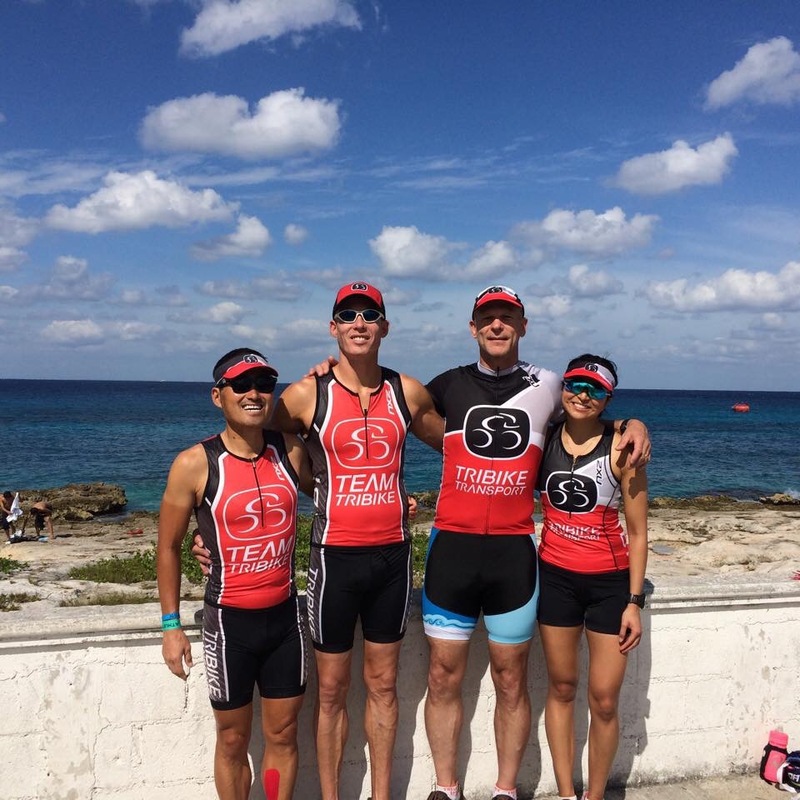 Then we met up with my teammates from TriBike Transport: Keish, Steve, and Christine. Then it was time for bag check-in. The people from the cruise ships must get confused by all these barricades. 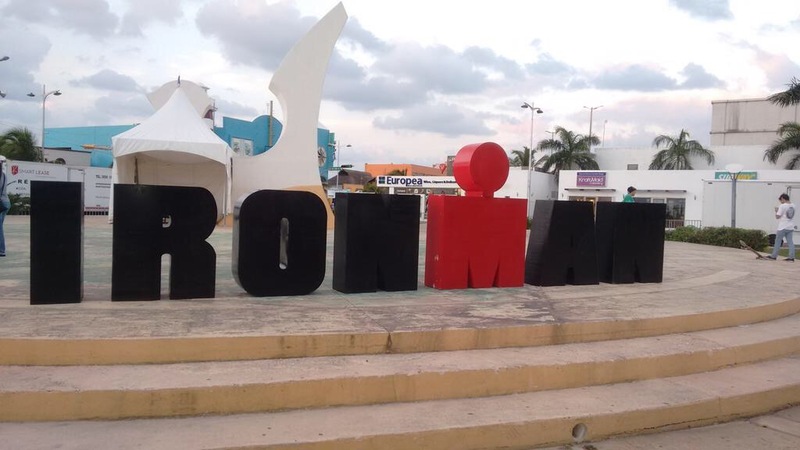 It’s starting to look a lot like an Ironman. It was time for a test ride on my faithful steed. 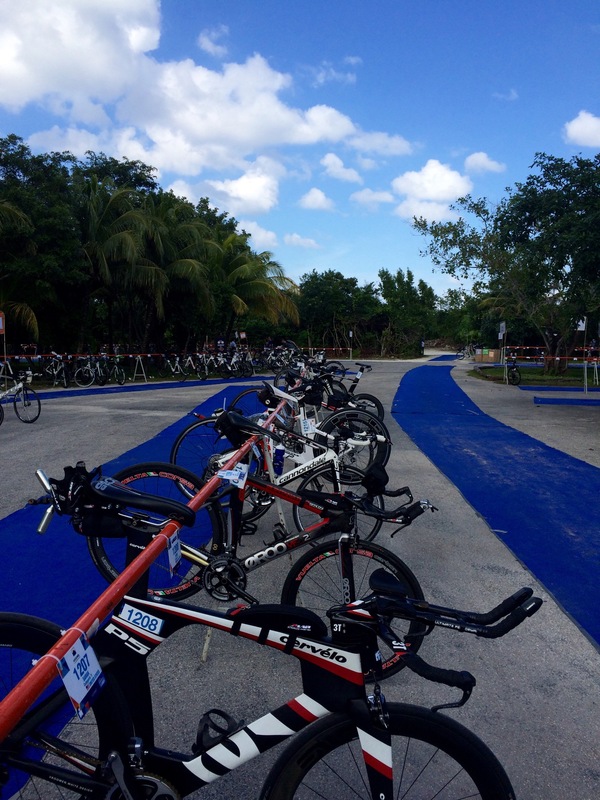 And then bike check-in at Chankanaab Park. Back to the hotel, and this was the view from the balcony. So the sunset did what it does. Michelle did what she does. And I did what I do. (There’s no photo of me sleeping). The alarm sounded at 3 AM. I did some activation exercises. By 5 AM I was fueled, caffeinated, and ready to roll. 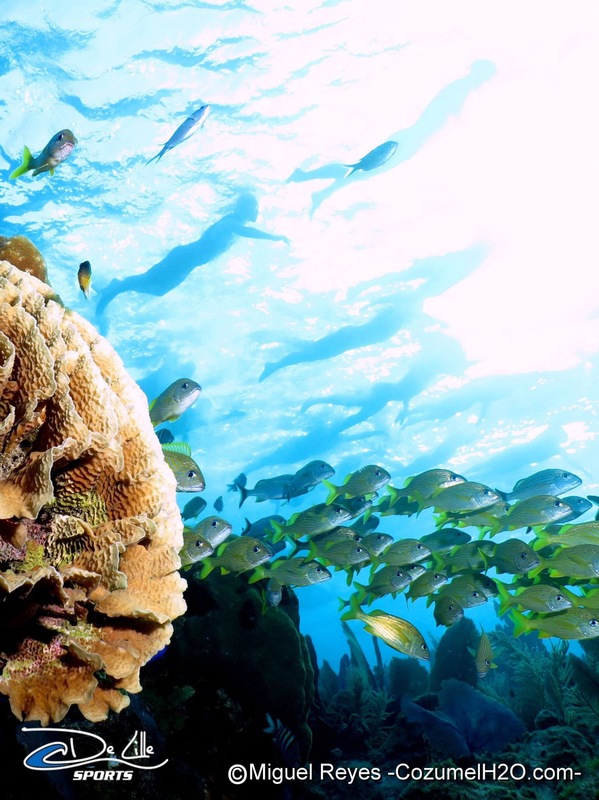 It makes sense that Cozumel is the #2 dive destination in the world. 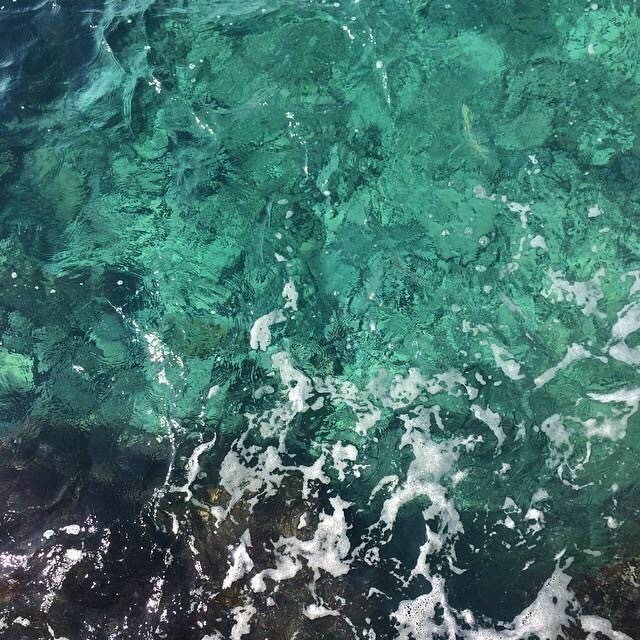 The water is so warm and clear. 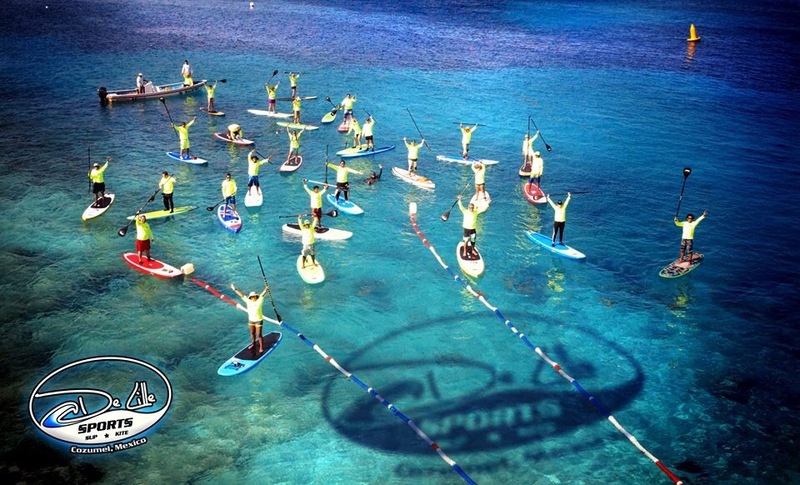 It is more clear than the water in Kailua-Kona. I told Michelle that I’d take it easy. 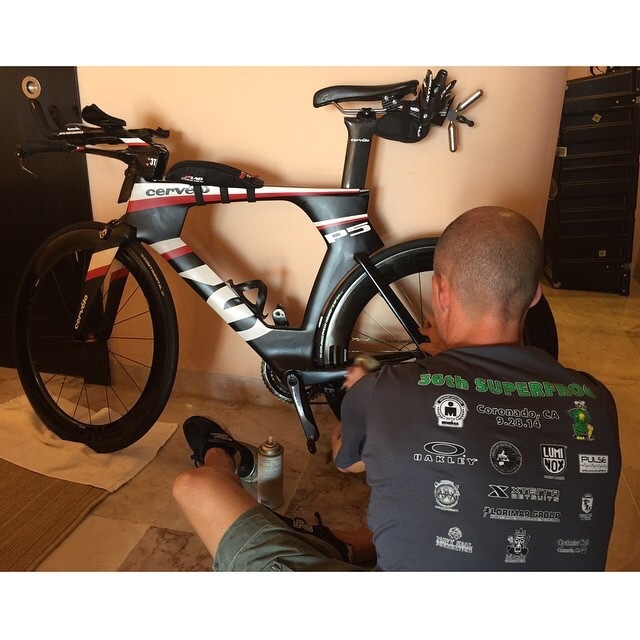 However, if when I got out of the water the clock read anything under 55 minutes, then I’d feel compelled to suffer on the bike in an effort to pursue a sub-9 dream. 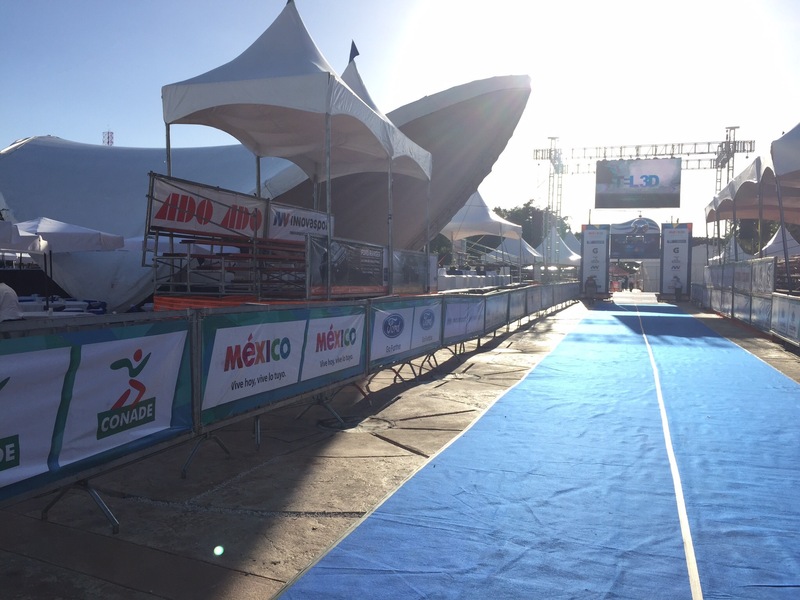 There were just under 3,000 athletes in the water (most of whom had already begun their race). 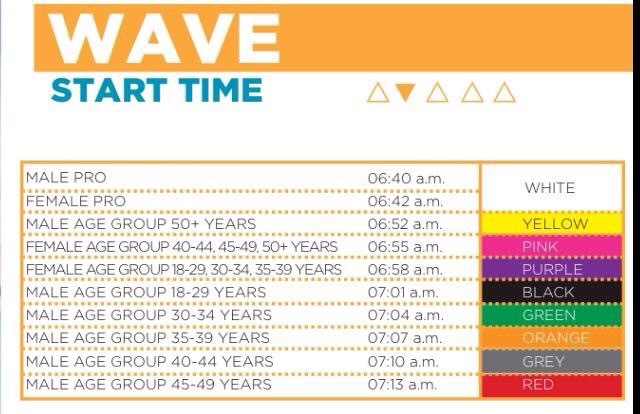 This year there were wave starts, and AG 40-44 was the second-to-last wave. I was focused on being vigilant. Find the right lines. Swim through them. 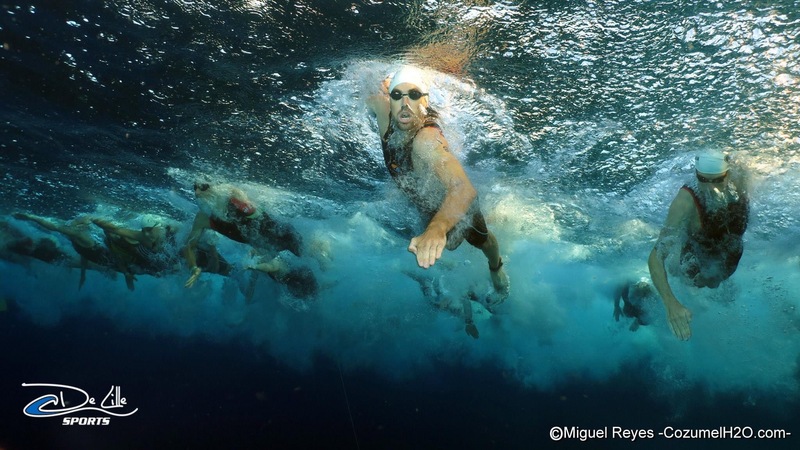 Don’t let the other swimmers dictate your pace. While I wasn’t going all out, I was certainly swimming with purpose. I didn’t swim on anyone’s feet, but I was moving well. And I felt good. Sea lice. 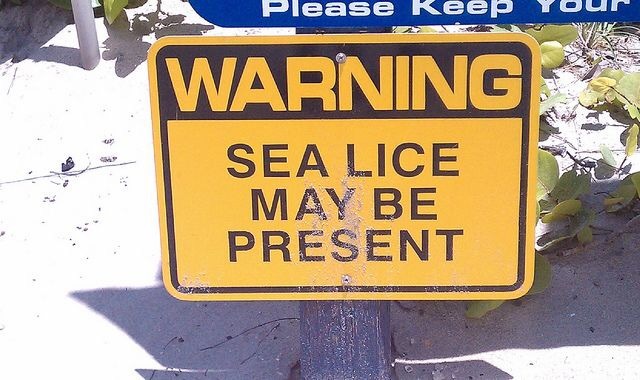 I forgot about sea lice. 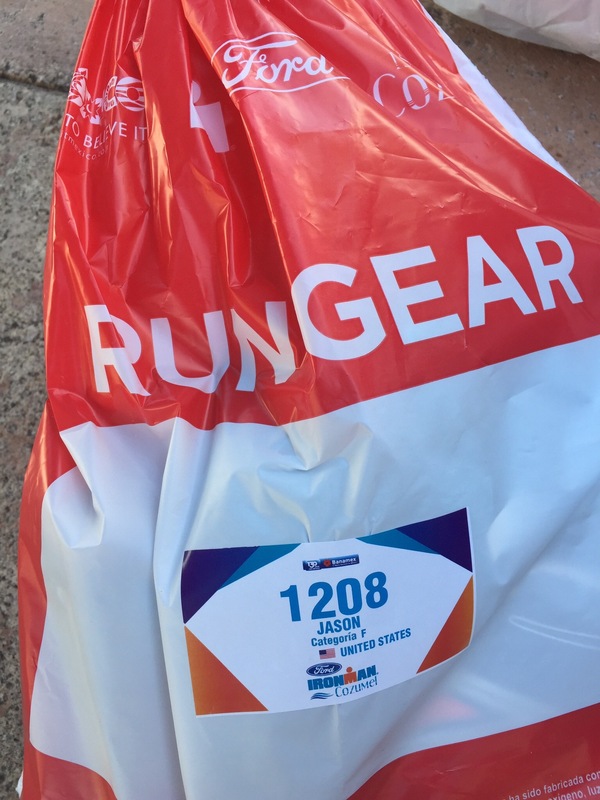 (I should’ve re-read my race report from last year). Every few strokes I’d feel something attach itself to my arm or my neck or my nose. 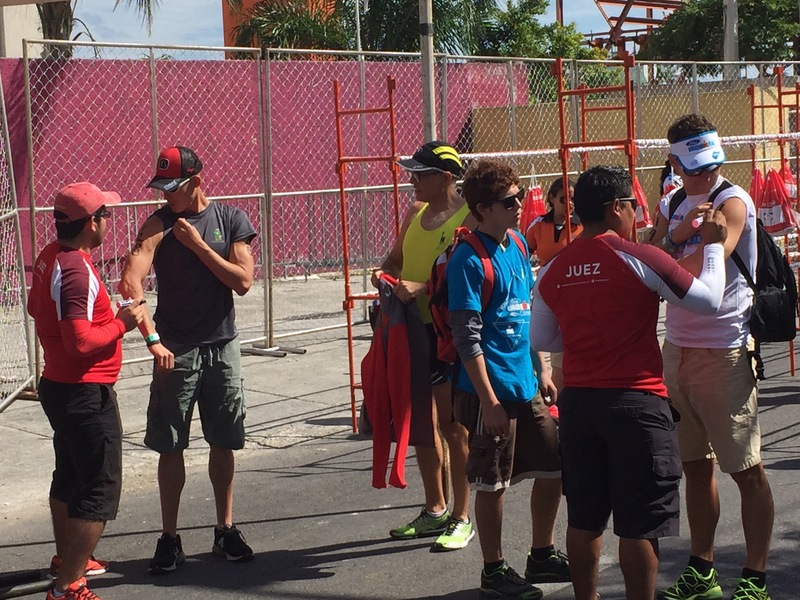 It was like Ironman Malaysia revisited. Groundhog Day. A glitch in The Matrix. Unfortunately, I loaned it to a friend, and forgot all about it. Out of sight, out of mind. Sea lice. It stings. But it’s no big deal. 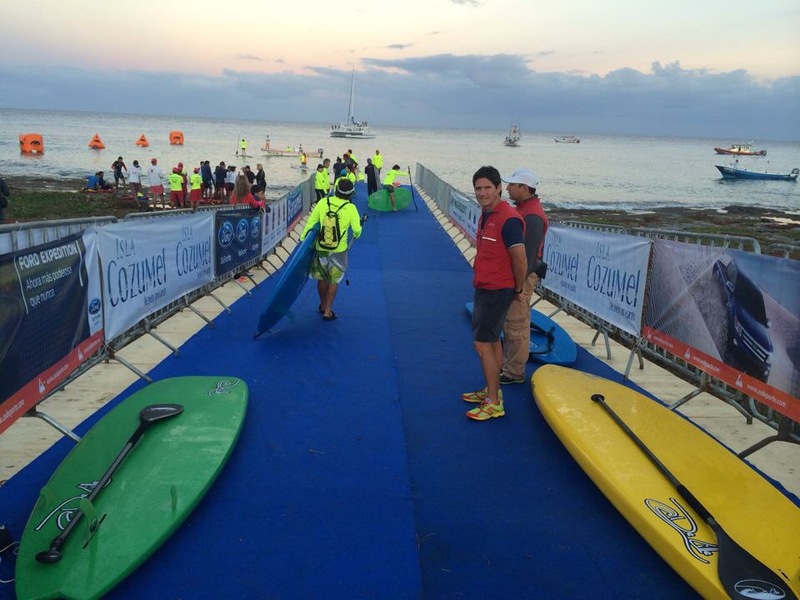 When I finally exited the water, I was looking at a 52:25. 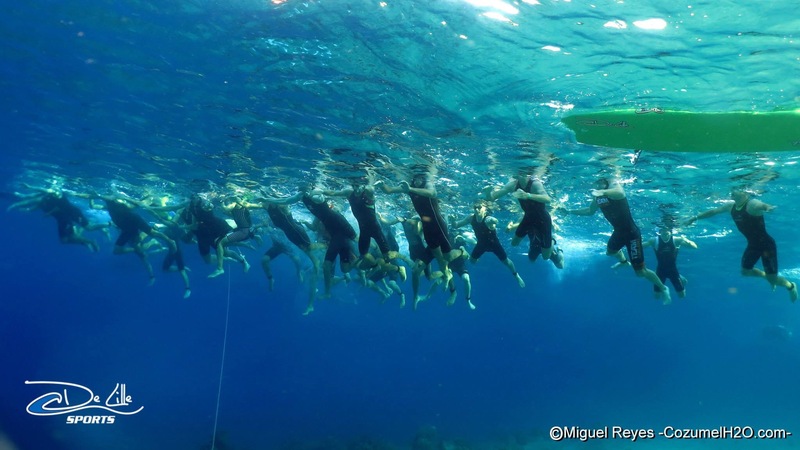 That swim split, without a wetsuit, was definitely current-assisted. But I’ll take it. 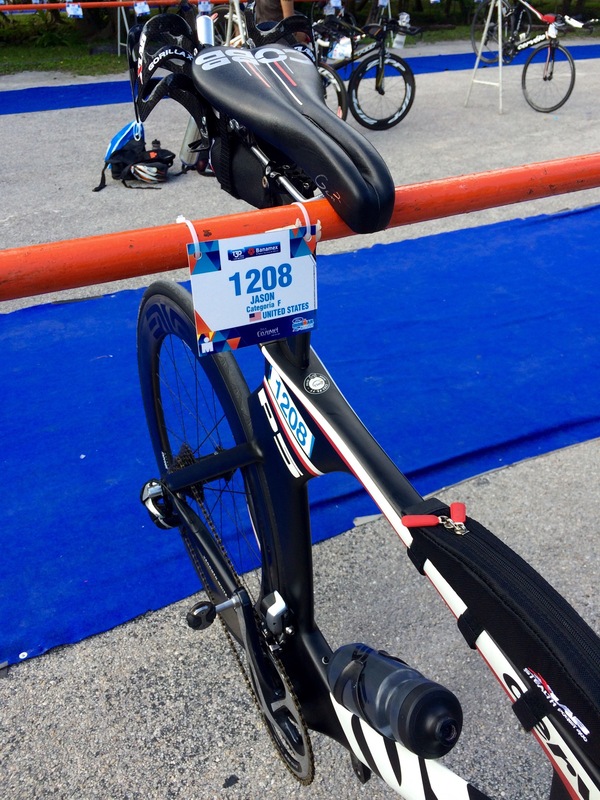 And before the race clock read 1 hour, I was on the bike course. The first lap (of three) required me to dig fairly deep. The chip seal and the aggressive winds were challenging. I came in around 1:37, and I realized that unless the conditions relent or I find another gear, my subsequent lap times will slow. 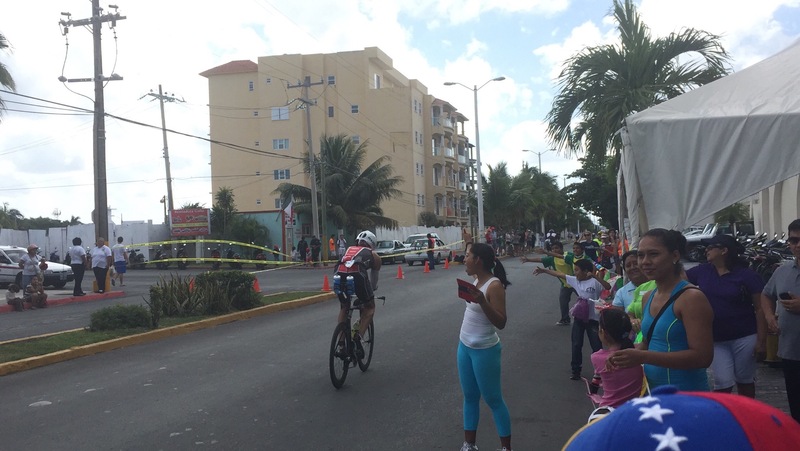 As I completed Lap 1, I saw Michelle outside of the Cozumel Palace (our hotel). The second lap was a disaster. The winds grew more fierce. I was losing focus. 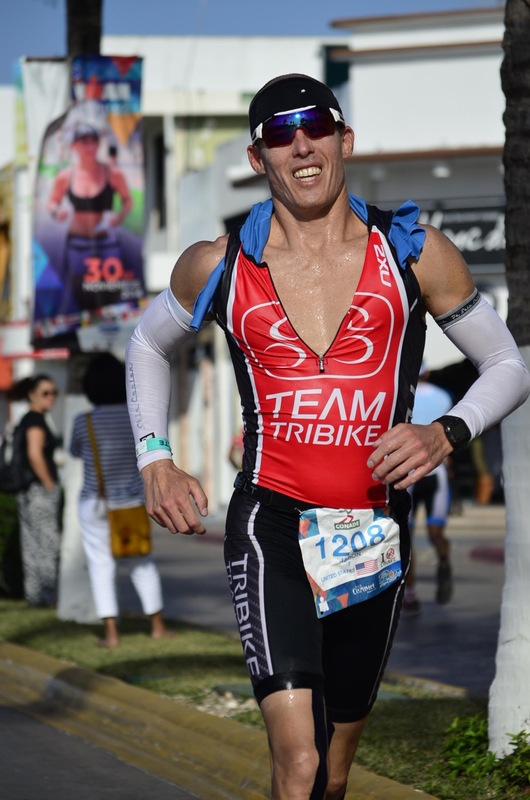 And some guy in my age group named Fabio (from Malta) kept drafting off of me. Toward the end of the lap, my left hamstring cramped. I coasted from 24mph to 2mph before it finally abated enough so that I could initiate a pedal stroke. 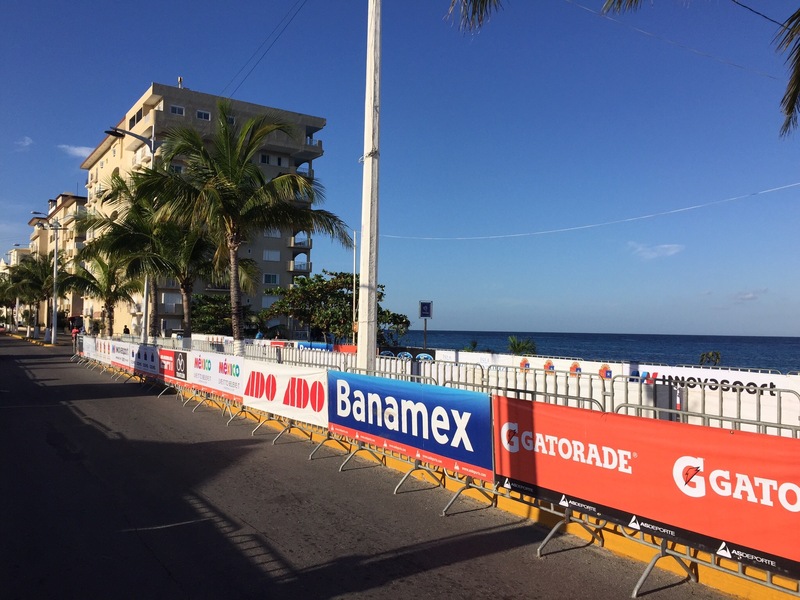 Last year I rode a 5:02 in Cozumel. It was legit. 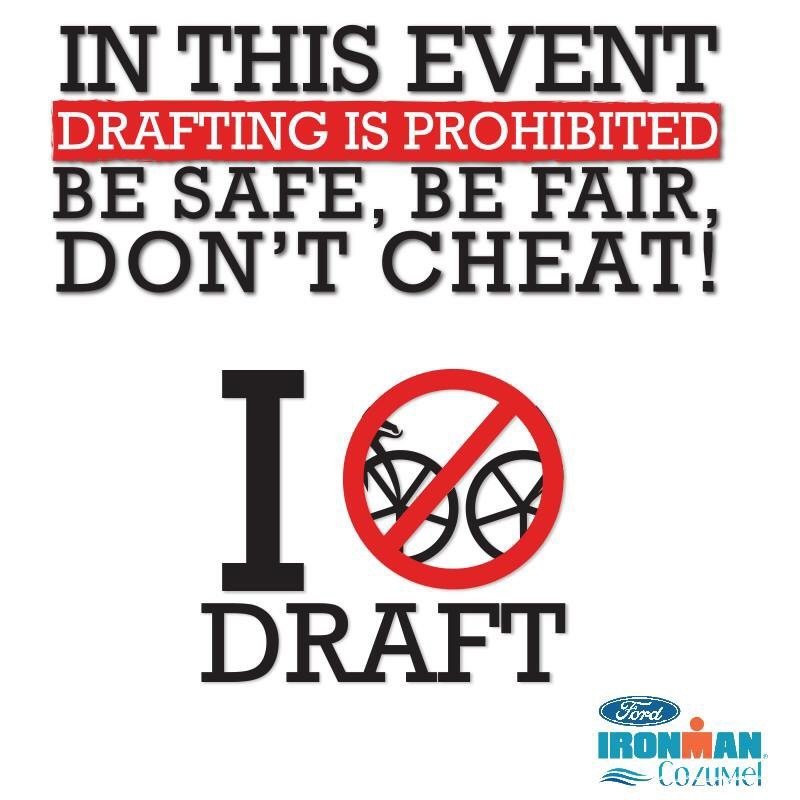 No drafting. Last year there were heaps of packs. Pelotons. People drafted en masse. I felt cheated. 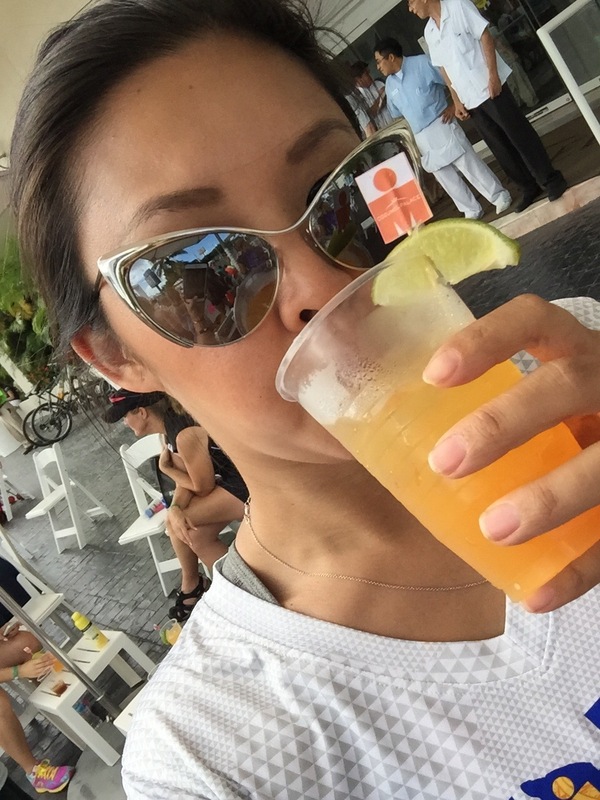 So this year I vowed that I’d draft. 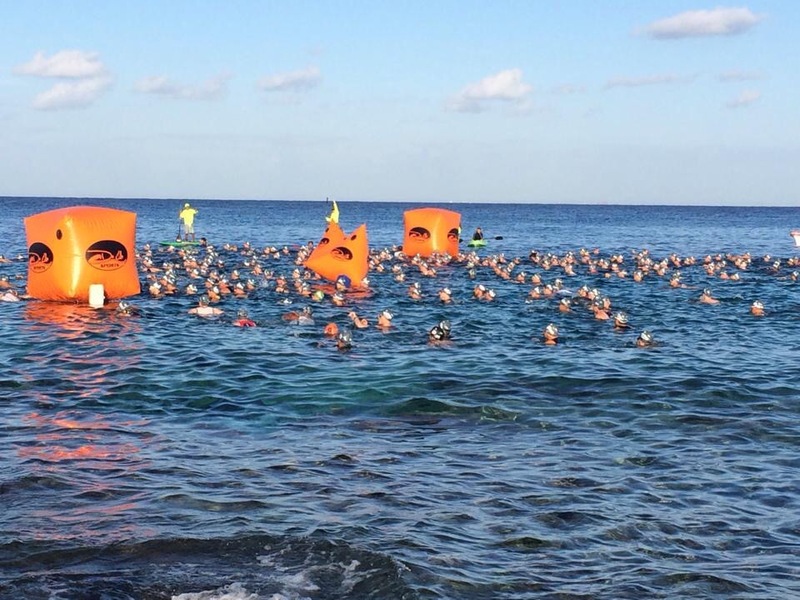 But due to the wave starts in the swim, people seemed unable to form large packs. Or, people were overwhelmed with a sense of pride and sportsmanship. Regardless, very few were drafting. And I did not spend one moment riding illegally. So I was especially unnerved by Fabio. 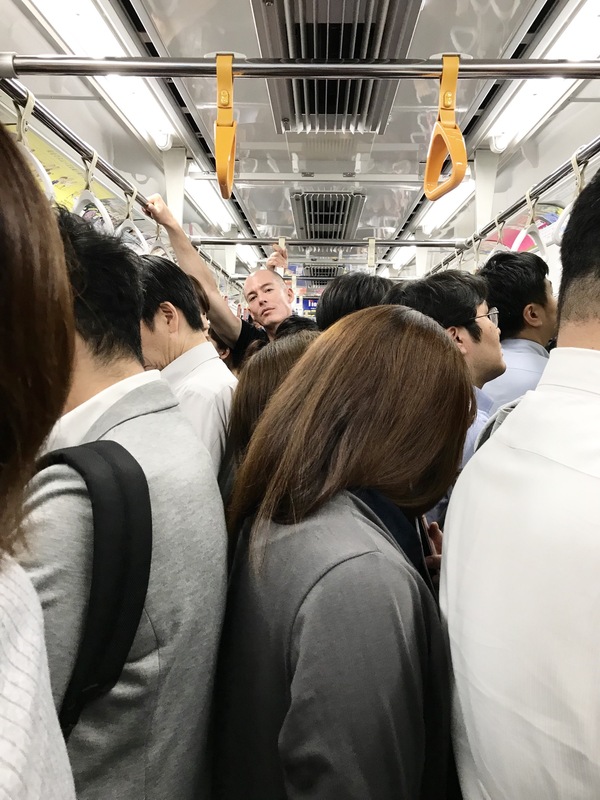 It was somewhat ironic that the one guy doing what I was going to do is the one guy who pissed me off, simply because I decided not to do what he was doing. I suffered on Lap Two. Fabio sat on my wheel. And he occasionally jockeyed ahead to sit on someone else’s wheel. He was warned a few times by the draft buster. But no penalty was issued. I went 15 minutes slower on Lap Two. 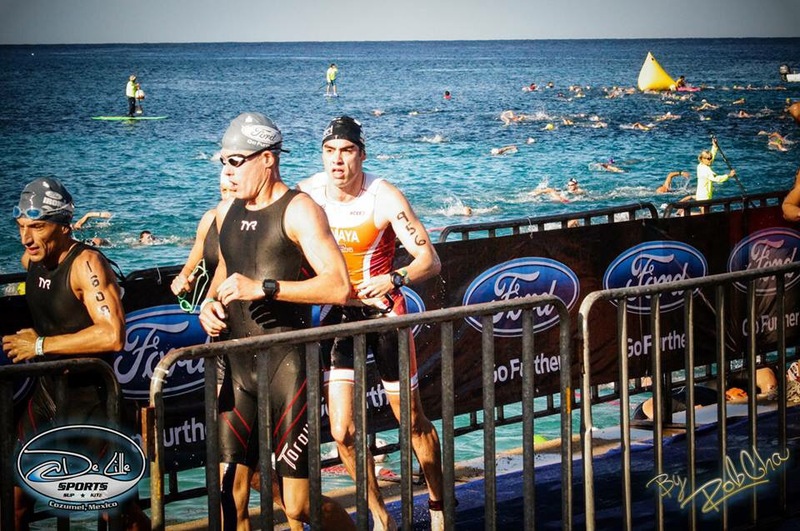 By Lap Three, my muscles were shredded, and my brain was searching for a reason to persist, to hurt, to suffer. This, again, is why a clearly-identified goal must exist BEFORE the race. My power was diminishing. The winds increased, and I had a very tough time. Fabio remained on my wheel. I considered striking him, peeing on him, tearing his earring from his right ear. But in the end, I let him be. I knew I’d see him and pass him on the run. I committed to it. Athlete number 1799. When you’re searching for a reason to push, the gods send you Fabio from Malta. Transition was lackluster. I was without a sense of urgency. Once I finally started running, everything felt fine. 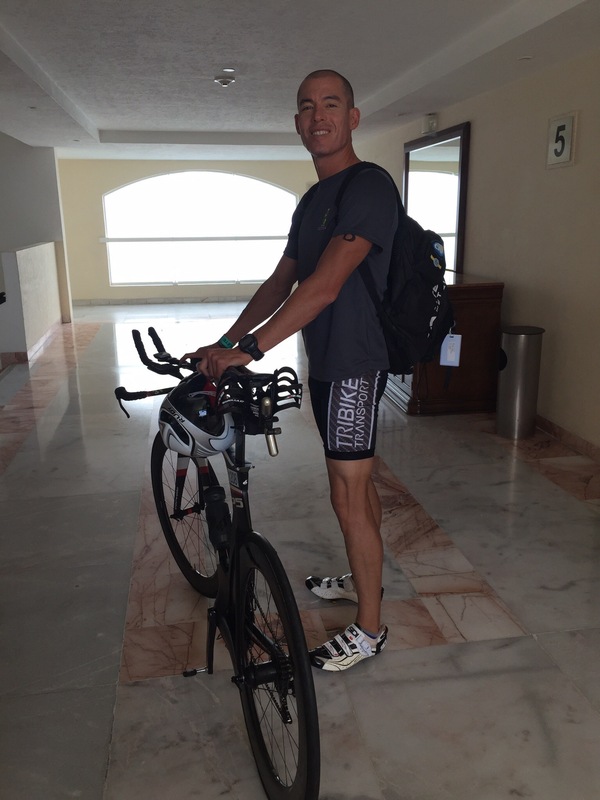 But a marathon always seems like a long way to go after the swim and the bike. I ran. Around mile 3, I overtook Fabio. He was walking. (I would’ve preferred that he turn in a strong effort and I not catch him until mile 18 or so, as it’d have driven me to go harder). So now I’m running and, again, searching for a reason to step into the hurt box. 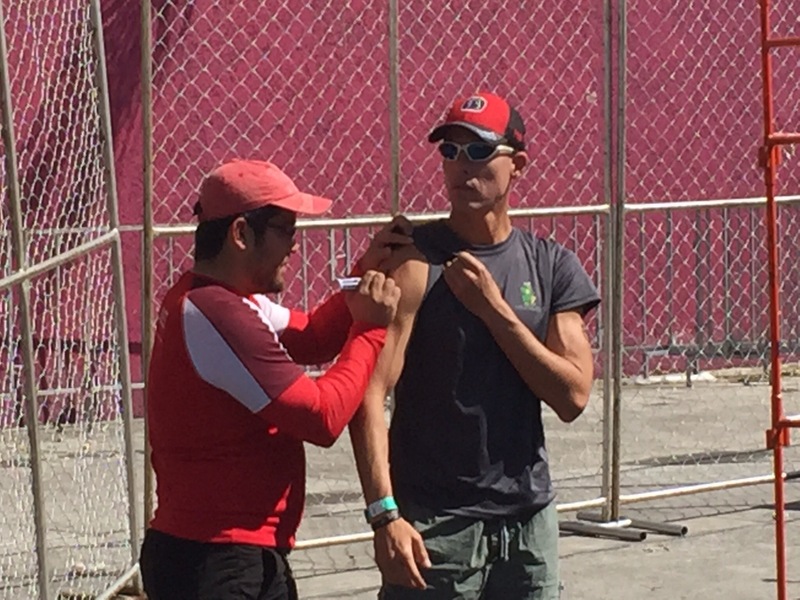 And while the Mexican spectators did not get me to cross the line that separates discomfort and major discomfort, I must say that Mexican spectators are awesome. And passionate! I love raw passion. 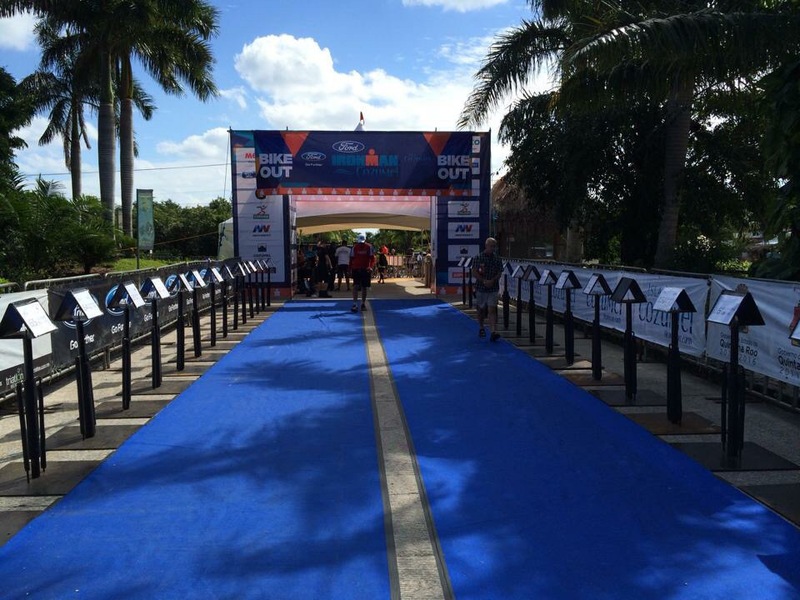 It permeates the run course at IM Coz. By Lap 2, I saw Keish. He was having a tough race, so I stopped to chat with him. After a couple minutes I took off. But then on my way back out (on Lap 3), I saw him again. So we walked together for a couple minutes. Then I ran on. Then I saw Christine. She was all smiles. Finally, around Mile 21 I saw Steve. He looked strong. We ran together for the next 3 miles, and that was a treat. We’ve become good friends, even though we’d never met face to face until Cozumel. Here’s this guy I know so much about, yet we’ve not spent hardly any time together. Running side by side for those 3 miles was awesome. Once I hit mile 26, there was nothing left to do but soak it all in. The spectators were frenzied, music was blasting, and there wasn’t a drop of rain in the sky. 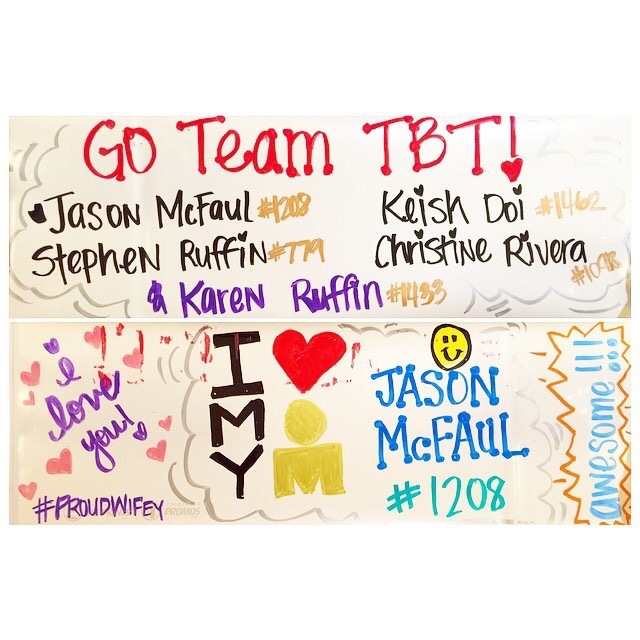 Last year I was in an all-out sprint with Rachel Joyce’s boyfriend, in the rain, through the finishing chute. That was done in an effort to finish 8th in 9:14. This year, I looked over my shoulder. Nobody was there. So I surged through the finishing chute. Run form was bad. Legs were heavy. And I crossed the line in 10:16, which was surprisingly good enough for 10th AG 40-44. This was my 30th Ironman. And I suppose it helped answer the question people occasionally ask: why do you keep doing it? 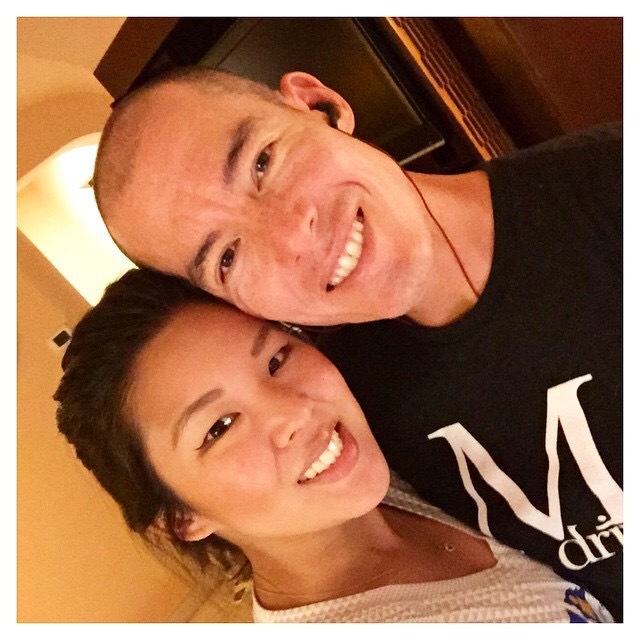 I keep doing it because what I learned in 10 hours 16 minutes will pay huge dividends in my life outside of racing: If you don’t know where you want to go, you shouldn’t be surprised when you don’t arrive. It’s one of those things that I once knew. But I forgot. It’s sort of like not getting sick for 10 years. You start to think you’re invincible. It’s okay to go a few days without green veggies. You can go a couple of nights without much sleep. But then you get a cold. And it pushes you to re-learn what you once knew. And this lesson couldn’t have happened at a better time. I’m just about to plan 2015. I will greet the new year with a focus on the fundamentals. Sometimes we know what’s good for us, but we need a reminder. IM Coz did that for me. It essentially gave me a nudge that said, “Hey, you know what’s good for you. You know how to perform optimally. But none of it will help if you don’t do it”. 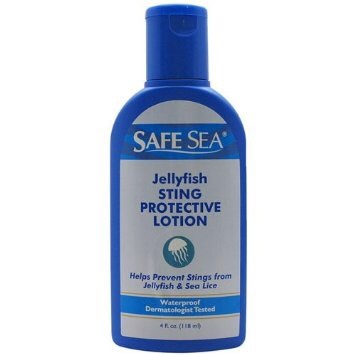 Going to Amazon.com to buy SeaSafe right now to make sure I don’t forget…..